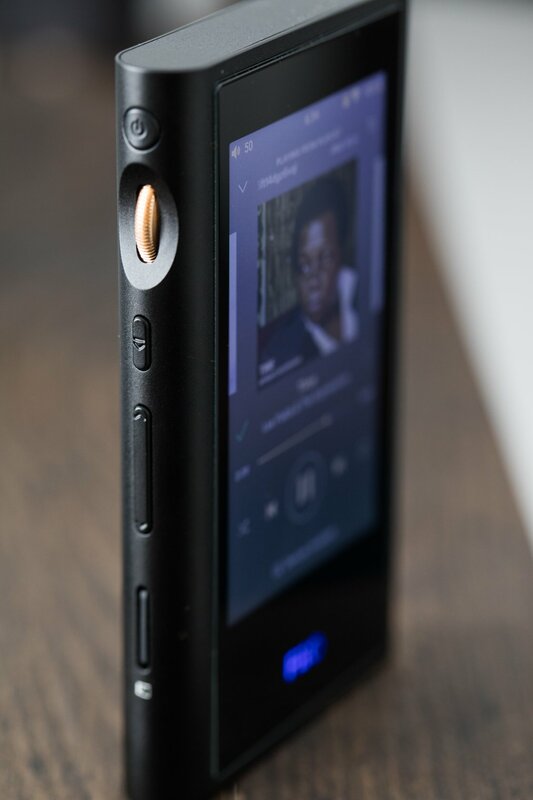 When I first touched the M7 from FiiO I understood that FiiO is finally on the right path. It sent a clear message about what’s to come in terms of GUI, ease of use, simple and elegant design and of course sound quality. The newest addition to the M series of DAPs will actually be the flagship of the M series of players; it’s the sleek looking M9. There were many things that bothered me in the past regarding X series of DAPs from FiiO, they looked modern and cool but the actual finish was never top-notch and not at a very high standard. UI was looking good but response time was sloppy and not the fastest of the bunch, wireless connection plagues the X5 and X7 to this day, even X7 MKII had its quirks design wise. On the other hand, M7 felt like fresh air from an open window, it felt, looked and performed much better, design wise there was nothing to complain about it too. 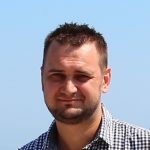 Well, now imagine simplifying that design even more, making it look unique compared to others and adding additional processing power and features: that’s how M9 was born. M9 feels really great in hand, ditch the TPU case, it is looking much better without it. There are times then I will just lift it off the table and stare at it for a minute or two. I’m glad to report it looks and feels impressive, built from a single block of aluminum with just a sheet of glass on top, it can’t be sleeker than that. I’m not a lefty but it feels better in the left hand due to left rounded edge. All the ports and dials were moved to the left and on the bottom; it looks much simpler this way, even all the screws were hidden from the human eyes. All the small details (that sometimes do make a difference) from M7 are present here as well, like the Hi-Res logo laser engraved on the back (gone is the paper Hi-Res sticker), same easy to use UI and easy to remember button placement. 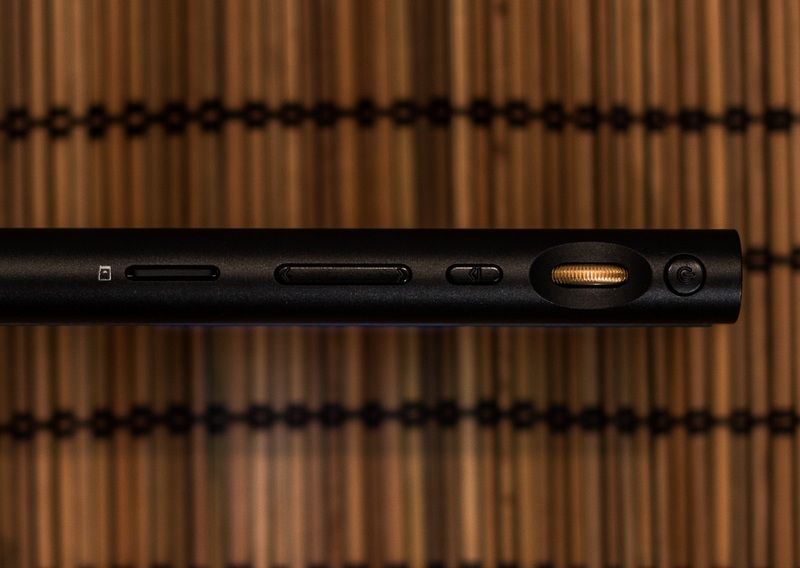 Speaking about the buttons, it has only 4 of them: power On/Off, volume up and down and the play/pause button. Volume wheel looks very different this time around, with golden accents on it and it’s a bit harder to turn (no more accidental turning in the jeans pocket) offering a more tactile feedback. MicroSD card slot is also on the left, up to 400 Gb cards are supported, go go DSD nerds! 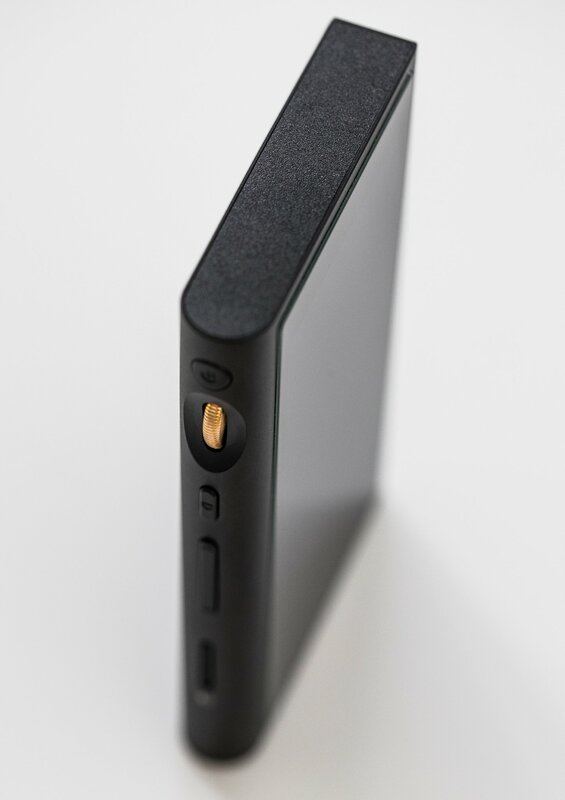 Physically it is smaller, thinner and lighter than both X3 MKIII and X5 MKIII that it replaces. On the bottom 3 connections are spotted, USB type-C (thanks Lord!) 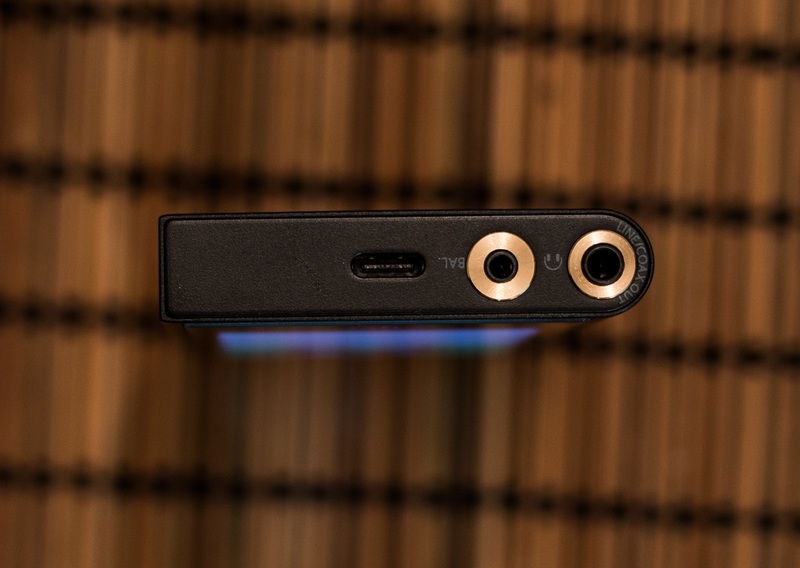 for file transfer and charging, fast charging is also supported, there are also 2 headphone outputs: the regular 3.5 mm has a triple duty, it can work as a normal headphone out, as a clean 1.8 VRMS line-out or as a coaxial out to be used as a digital transport, the second 2.5 mm is the balanced TRRS output for that fat and juicy power output audiophile nerds like me crave about. The 3.2” IPS touch-screen is very similar to the one found in the M7, they might be the same, I presume that is the case here, newest M6 seems to use the same display assembly, a wise financial decision I’m sure. Due to smaller screen size and pretty high resolution of 800 x 480 pixels, the image is always crisp and clean due to a higher 292 dots per inch. I have nothing to complain about the display, I am actually very happy they didn’t go for a larger screen since that will have a massive impact on the battery life. I have my phone for Netflix and web browsing on the go right? It offers lower brightness numbers than a flagship mobile phone, but none of that is needed right here as I and most probably you listen to music with display turned off anyway. Powering On the M9 a fat chin and a large forehead can be spotted, but that again doesn’t bother me too much, as the overall size and weight are low and M9 is very easy to carry, EDC (every day carry) test was passed with flying colors. 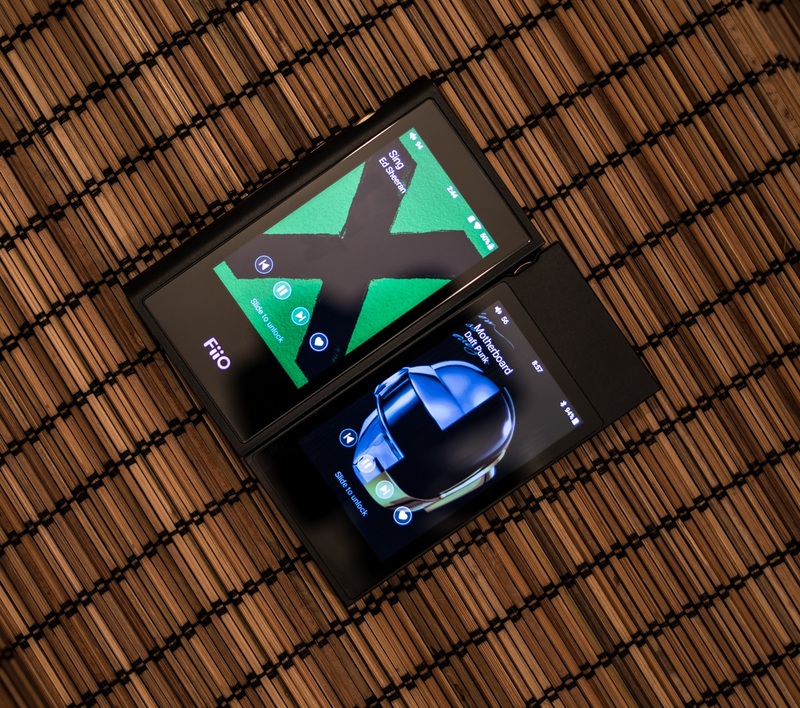 M7 was the first to ditch a fully operating Android OS and use a lighter, custom made Android OS finely polished by the FiiO engineers, it is very different from what was seen on X5 MKIII and X7 MKII. Gone are myriads of apps that can be installed, maybe it’s for the best to stay this way. The streamer in you can sleep easy at night as FiiO white-listed majority of audio playing and streaming apps such as Tidal, Qobuz, Spotify, Deezer, Apple Music, MOOV, NetEase Music and others…and before you ask: YES, you can save your favorite Tidal tunes and play them offline! Rise high those pints of ale! The same Samsung Exynos 7270 (14nm build process) 1 Ghz CPU/SoC beats inside that is also powering the M7, 768 Megs of RAM were squeezed inside, there is also a shy 2 Gb ROM memory – insufficient for storing large quantities of music, which I truly recommended leaving alone (for a better response time), microSD cards are cheap nowadays, use those instead. At the heart on M9 processing double AK4490EN DAC chips were used (the same that are powering the mighty FiiO Q5 and X5 MKIII) in a dual mono configuration, two OPA1642 for the LPF and a AD8620+OPA926 combo for the final output stage. Power wise M9 is more than adequate powering down even desktop class headphones, at 170 mW per 32Ω on the 3.5 mm SE jack and 220mW per 32Ω on the 2.5 mm balanced jack it handles my Sennheiser HD660S pretty easy even on the 3.5mm SE output, volume wise it stays somewhere between 100-105 out of 120. FiiO used a very powerful Samsung made Bluetooth chip, it’s a novelty in FiiO’s portfolio because it’s not only a transmitter but can be a receiver as well (Dual Bluetooth), it can send and receive data in aptX, aptX-HD, SBC, LDAC and HWA. I paired my KEF LS50 Wireless via aptX-HD with M9 and got a truly great wireless experience, signal strength is pretty high as I was able to move across the apartment without having hiccups on the audio stream. I really dig the Bluetooth implementation of the M9, to this day it’s the most complete Bluetooth streaming DAP. Wi-Fi connection is 2.4 Ghz only, it’s enough for lossless wireless streaming. However, Wi-Fi signal is much stronger compared to X5 MKIII and to X7 MKII, antennae placement was definitely not an afterthought. The Li-PO battery has a capacity of 2350mA that delivers about 10 hours of listening time with all the wireless radios turned off. With my harder to drive Sennheiser HD660S I was able to squeeze 8 hour with volume of ~105 out of 120. With the FiiO FH5 volume wise it was at ~70 and I was able to achieve and surpass the declared 10 hour playtime. Turning Wi-Fi and/or Bluetooth will of course decrease those numbers. The biggest improvement was the standby mode in which M9 can stay up to 45 days, that’s 1080 frickin’ hours! By comparison X3 MKIII has 19 days standby time and X5 MKIII together with X7 MKII have lower than that. I personally turn-off my device every time I go to sleep but if standby is your thing then M9 got you covered for more than a month. 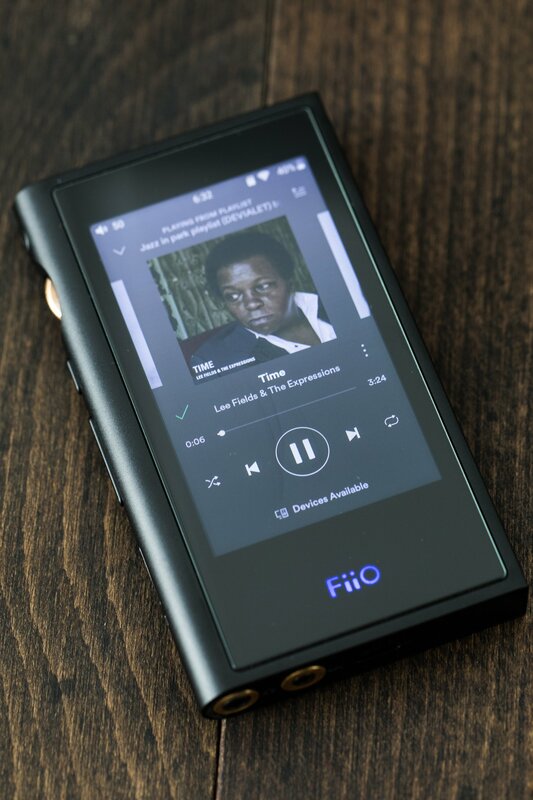 The standard FiiO Music app (on the 1.03 firmware) never crashed on me and works flawlessly for more than 2 weeks. It’s easy to follow and use, due to a larger music library I am mostly browsing by folder or directly use the search function. Swiping down in the Now Playing screen will show your brightness levels, Wi-Fi and Bluetooth connections, gain and headphone out functions for the 3.5mm jack , the storage or DAC features and the filter settings. Hitting the filter settings icon will shortcut you directly to all audio settings, toying around with the digital filter mode yielded marginal changes in the sound department, I left it as it is. 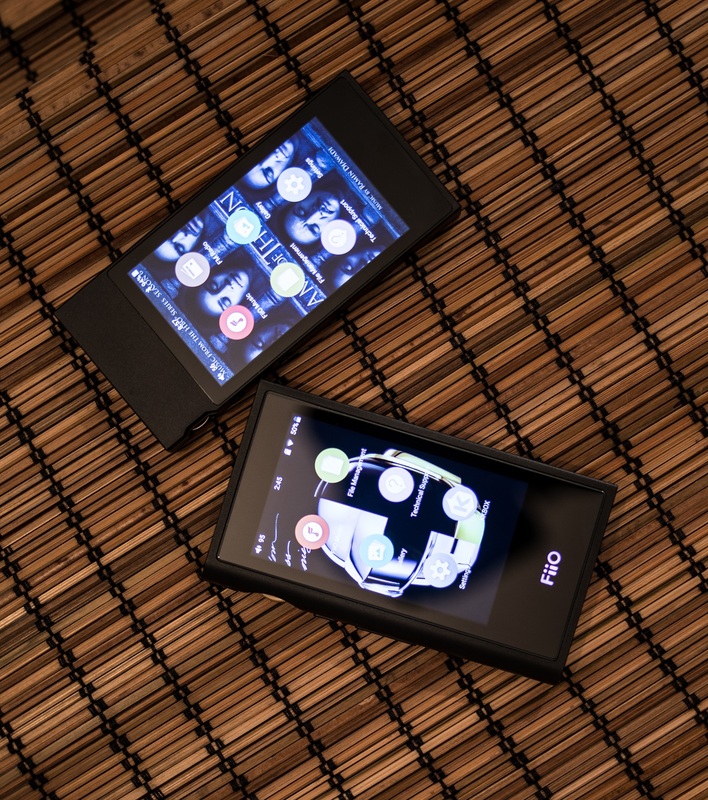 Since it is a touch screen device FiiO used a lot of screen shortcuts, the same were found on M7 as well: swiping upwards from the right corner will send you to the main menu, swiping upwards from the left corner will send you back one level in the OS, swiping from left to right will show the playlist, there are more shortcuts, I recommend checking the quick guide for more details. Upgrading the firmware is recommended to be done Over The Air (OTA) as at the end of the update process the .fw file will be automatically deleted. Overall the M9 GUI is very polished (on V 1.03 fw), it’s fast, it doesn’t stutter, it is a bit slower than my phone on Tidal, but that understandable given the hardware M9 uses. Let’s fire some music as my ears are itching already. Most of the time I’ve listened to M9 via the FH5 and FA7 from FiiO which are quite picky in terms on noise floor, at home I’ve listened to it via Sennheiser HD660S desktop headphones and for giggles I have paired it via Bluetooth with a pair of KEF LS50 Wireless speakers to test out the Bluetooth capabilities. Listening to M9 more and more often I couldn’t get out of my head a sense on deja-vu, that not so long ago I have witnessed the same sound signature. Ah, YES! 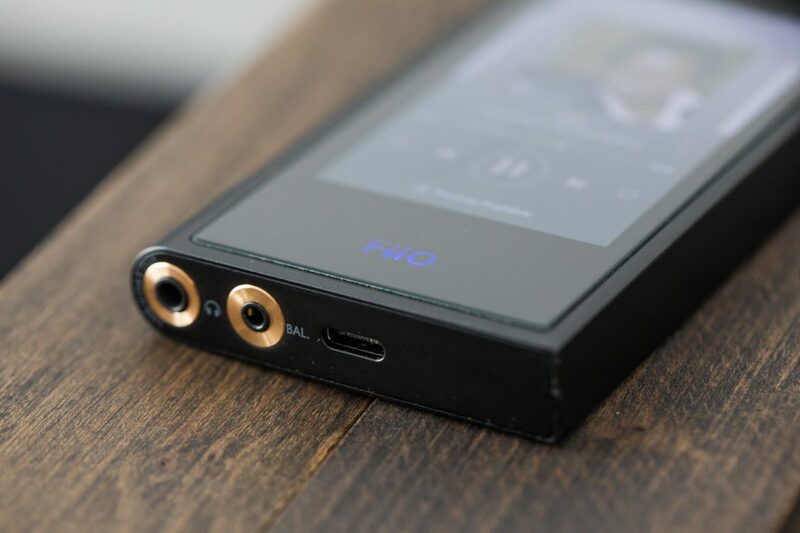 I remember now, M9 in my mind sounds very close to the FiiO’s Q5 flagship DAC and that is a very important achievement. 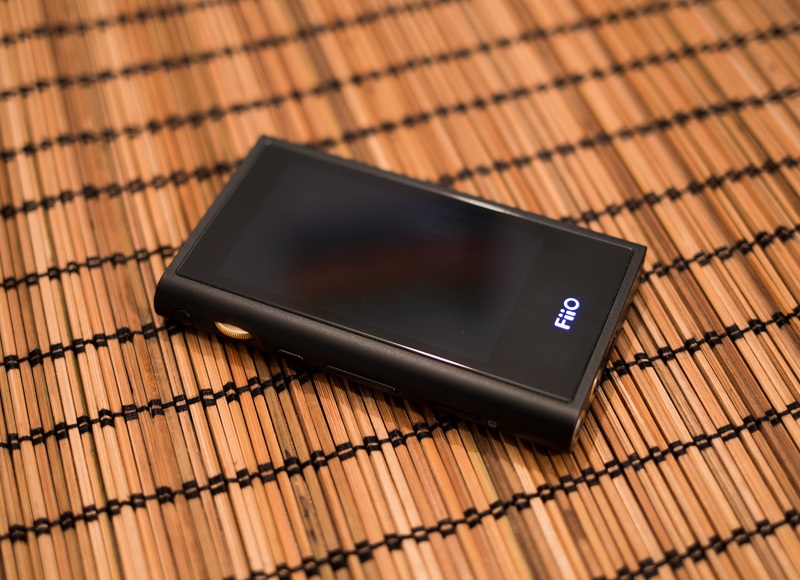 I dare saying that Q5 was very different from what FiiO did in the past, it was conceived as having a very linear and revealing sound signature with tons of micro-details, tons of dynamic swings and not as having a warm and inviting sound with smeared dynamics. M9 together with Q5 represent a long departure from the old FiiO sound I was accustomed to for so many years now and I glad they did that. M9 puts a big emphasis on macro and micro-details, on fast dynamic swings and less on mellow and limited transient response type of sound. With a good implementation AK4490EN can sound mean and biting, fast and kicking! Q5 and M9 are great examples of what can be achieved with the right implementation. Firing up fast electronica revealed decent levels of lower bass and great level of mid bass. Rarely soft, bass notes will hit their mark and put a smile on your face most of the times. Yes, I’ve heard deeper and meaner bass but at a higher cost too. Due to a quicker transient response I could pass over the slightly limited sub-bass response as the lower notes have great agility and hit me with the right amount of speed and impact. The smooth transition from bass to midrange is seamless without any dips and rises, it leads to the best part on the M9 in my opinion and that is the midrange performance. I found midrange to be often fuller than I was expecting, male and female voices have a longer decay, string instruments really shine too. Overall, I found them to have more meat to the bone and heavier at times. Sure, this frequency response it is a bit emphasized but rightfully it needs to be as 90% of the sounds of nature are born in this audible range. Sound signature could also be considered as natural, with smooth transitions between FR. Treble performance is very good and in my opinion its be second best part of M9, it has a good amount of “zing” and shimmer but without being harsh on the ear. HD660S are quite strong in this area too and I suspected I would not be a great combo, but I was wrong. M9 showed a honest character without being sibilant at all. Honestly with all the headphones I tested it with, I enjoyed it mostly with HD660S, a really great combo I must say. Another interesting aspect that impressed me was the depth of the soundstage that could easily rival the performance of a desktop class DAC. Overall the sound was deep and quite wide (but not the widest I’ve heard) and pretty well spread too. Think of Q5 or even X7 MKII but with more intimate soundstage, not small but not super wide either. I enjoyed any type of music that uses lots of musical instruments as those shown good depth and lots of space between them. Live music never sounded crowded or closed-in, it surely shoots above its price point in this area. Transient response is quite impressive, but it is not lightning fast as it was on Q5 and X7 MKII, nonetheless any fast electronica or metal will sound just fine. Bass-heads will need to look elsewhere as it will not rumble much and will not will go to the sub-bass territory very often. As a total package M9 could be considered as having a good balance between all frequencies and staying on the safe side with the rest. I had a blast when I connected the M9 to my KEF LS50 Wireless speakers via Bluetooth, my speakers are a bit limited by the aptX-HD that that’s OK in my book as it is already good enough (max 576 kbit/s). What I’ve heard on headphones was applied to speakers too, my usual morning mood-lifting folk rock started tapping my feet and my head was shaking with a smile on my face. All of it was there: wide and deep stage, fast transient response, wide FR, great leading edges of the notes, natural voices and crystal-clear treble. The best part? I could go to any room in my flat and BT will not drop off a single time, it works better than I anticipated, this again suggest that BT was not an afterthought and was implemented really good this time around. I consider HD660S to be quite efficient comparing to other ~500 USD desktop class headphones but it is not most of the times an easy task for the small and portable DAPs. On the high gain at around ~105 volume M9 will drive just fine the HD660S and that is just on the 3.5 mm Single Ended (SE) output, on balanced it will drive them even better. Sure, adding an external headphone amp such as HeadAmp Pico Power will impress me more, but the combo will not fit in any pocket and it will add up to the overall cost. Powering multi driver balanced armatures (all armature based or hybrids) is quite an easy task for M9 as I rarely hit the 70 volume mark. Noise performance is great! No hum, no noise, no nothing! Just pure musical bliss! I will test out the balanced connection in few weeks (a balanced cable is coming my way) to test out the noise performance of the balanced output, will comment on that at a later date. So far I’m impressed by it, it will drive normal sensitivity headphones and easy to drive planars (portable ones) but cannot power up higher impedance ones or harder to drive ones, for that use a powerful portable amp. I’ll be honest with you, I liked the X5 when it was released but it was pretty fast outperformed by latest DAP releases and M9 is not an exception. X5 is mellower with a slower transient response, it also has an uneven (like a “W”) frequency response. Mid bass is a bit overdone, lower midrange is dry, upper one is emphasized, lower treble sounds just fine but upper treble can be sometimes tiresome and grainy. M9 have a better transition between the FR, it has a nicer treble too, with a nice bite but without brightness. X5 is also noisy when it comes to IEM pairings, it was too much with multi-driver IEMs and with sensitive ones, but offered more power for the desktop and hard to drive headphones. In this regard M9 is noiseless but has a more limited power output, I accept this compromise. X7 MKII is just a touch drier and has a wider sound field, you could also see deeper into the mix, so depth and soundstage are both improved. X7 MKII is also a bit faster, hits harder and offers more goosebumps inducing dynamic swings. Yes, X7 is better, but it is also much more expensive so that is normal. M9 is not too far behind, as it has everything X7 has but at a lesser degree. Where M9 shines thought is at the wireless capabilities (Wi-Fi and Bluetooth) as BT and Wi-Fi signals are much, much stronger, you no longer need to stay near your Wi-Fi router nor glued to your BT headphones, I’m really glad M9 solved all those issues. M9 sounds a touch more natural and alive, has a better kick as well, has a better driving power and offers a balanced connection. M7 is just a tiny bit drier, especially in the mids section where voices will not grab your soul so often. M7 can be too flat at times and M9 has a good balance of sound techniques and musicality. M7 is more power limited and will not drive any desktop class headphones as it doesn’t have dedicated op-amps for that purpose, even some multi-driver IEMs can suffer dynamics from limited power output. 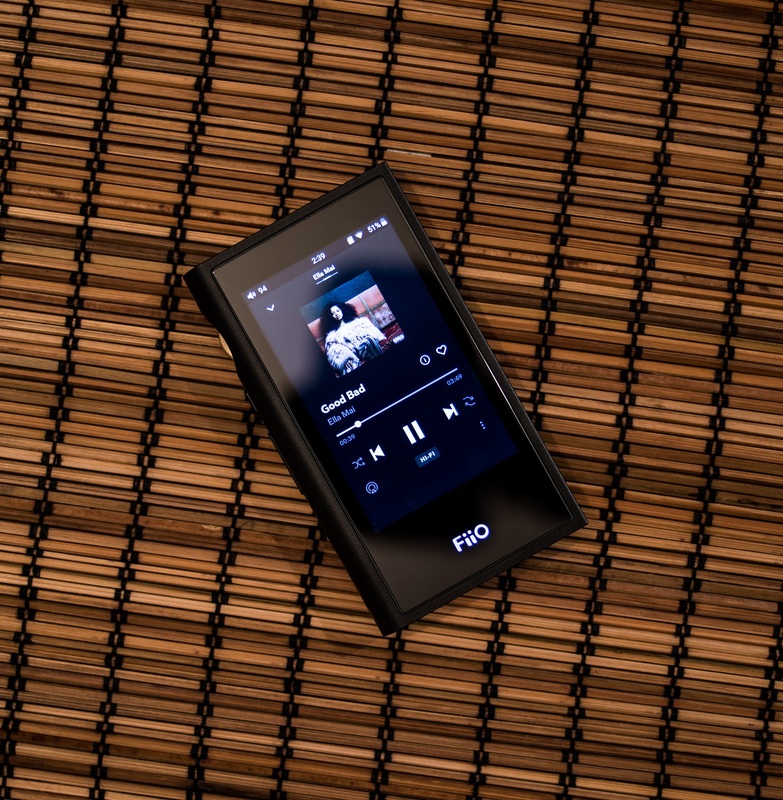 M9 is overall better than any other FiiO DAP like X3 MKIII, X1 MKIII and M3K, it has more of everything and it sounds more technical, it is just better. So, here you have it, M9 solved all my fears regarding streaming and wireless signal strength. It also brought a fresh take in the sound department. 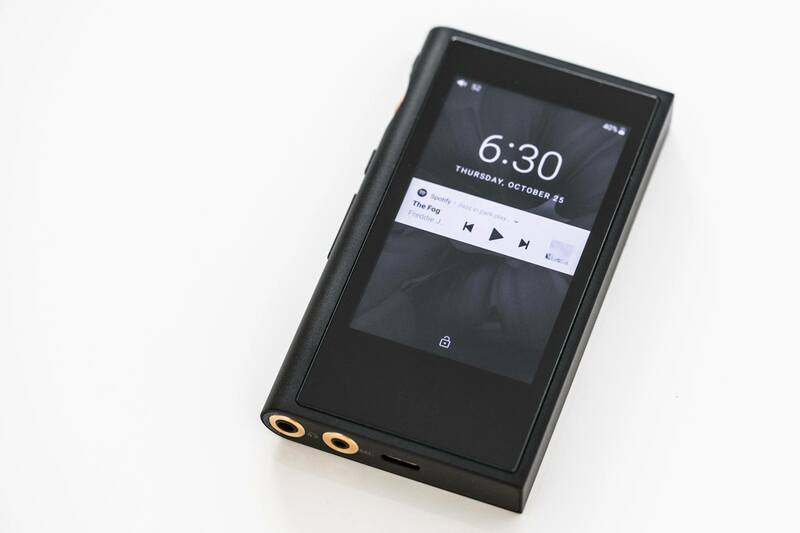 It is also the most beautiful FiiO DAP to date, it is so simple and gorgeous, I like those simple lines and the uni-body approach, hey FiiO I think this designer needs a raise. Design and build quality wise it is shoulder to shoulder with more expensive DAPs from the competitors, I really have nothing to reproach here. What more can I say? I like it and it’s here to stay! That’s all folks, until next time. Unfortunately the Samsung Exynos 7270 used in M6,M7 and M9 has been discontinued, so I’m not sure FiiO will be able to produce many of them ( they bought some stock before ). So all in all it sounds better than the X5 III, but performs somewhat weaker in the bass and sub-bass area? Can it be pushed closer to the X5 III with the digital filters and the EQ? M9 seems better in all other regards to me, and right now I can get M9 and a large SD card for the price of the X5 III. I am not living and dying for bass, but I very much like deep, strong, precise bass when its intended to be there. So I would just like to ask how serious the bass difference is between M9 and X5 III. Altogh, probably both would be a serious step-up from my former X3 (first generation). Actually M9 outperforms X5 III on everything. M9 sounds much cleaner, with IEMs it’s not a contest, X5 is noisy by comparison. X5 has also dips in the FR and a few rises, X5 has a mid-bass rise, M9 doesn’t have that. I like everything more on M9, it’s also more neutral and truer to the recording, and overall FR is much more precise on M9. X5 puts a bigger stain on the recording, M9 has less of a character, it colors your music much less. M9 will be a Huge step-up coming from first gen X3! Well, it’s nice your new site, but I cannot comment there. You offer 4 ways to login I will never accept. I don’t have accounts for any of them and I will definitely not make one just to comment there. Sorry. I have enabled guest commenting few moments ago. You no longer need to log in to comment.